Immersed in a culture that promotes non-stop economic growth, shopping and urban life, it can be difficult to take a different path by advocating for nature, renewable energy, and a sustainable lifestyle. The tactics Saskatoon activists employ are as diverse as the seasons, but there is a common factor. They all care passionately about the future of the land. It would be foolhardy to attempt to catalogue all the individuals and groups. Here is a look at just a handful that have adopted very different approaches to increasing public awareness and changing public policy. A new voice emerged on Twitter last year. @LoraxYXE writes in verse, posting photographs of trees that are at risk from Saskatoon’s ongoing construction boom. It’s funny; it’s visual; it’s different. And it’s caught the eye of the media, of City Councillors (Charlie Clark responded to one of their tweets in rhyme), and hopefully of City administration. SOS Elms Coalition was established to protect the health of Saskatchewan’s community trees, particularly from the threat of Dutch Elm Disease. They’ve recently released an updated guide to some of Saskatoon’s most memorable trees (Ohio buckeye, black walnut, gingko). 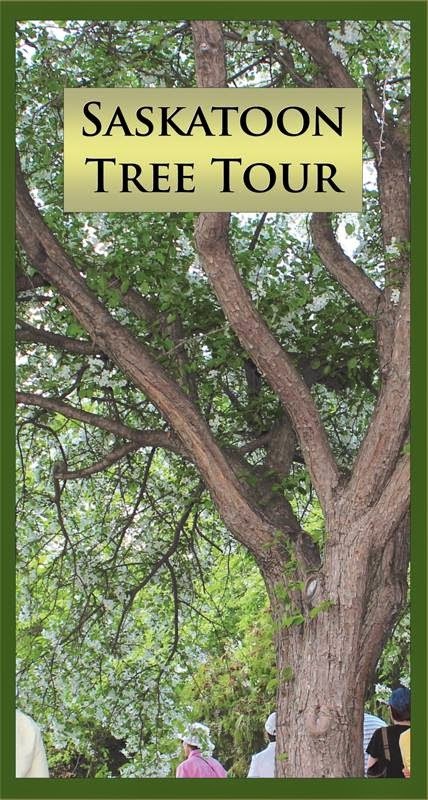 The guide includes colour photographs, interesting anecdotes, and a map pinpointing the location of 24 individual trees as well as five tree destination sites. In our rush to get from one place to another, we so often fail to “see” the beauty around us. I know that I am going to be taking a slow tour in order to appreciate all the trees mentioned in the guide. 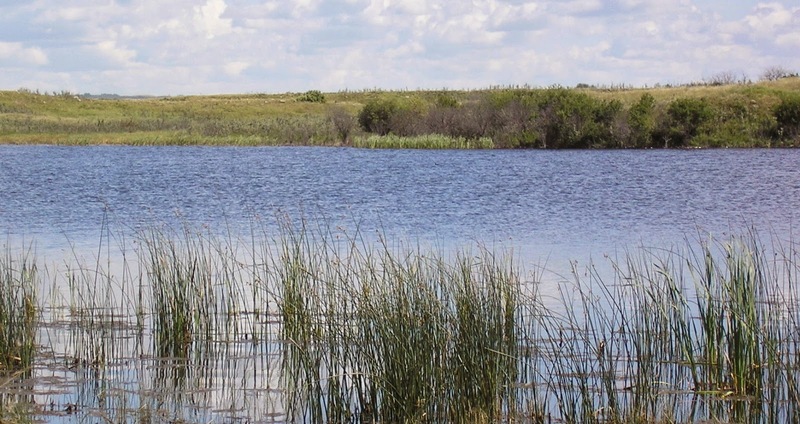 The Northeast Swale is an ancient river channel connecting native prairie uplands and linked wetlands and is home to ducks, deer, and a wide variety of plants. It ensures water drainage and retention and clean air. Most important of all, it’s a refuge for native plants, animals, and insects. It is, however, threatened. New subdivisions, roads and bridges are encroaching on it from all sides. A group of concerned citizens stepped forward to ensure that the Swale was valued and protected. The Northeast Swale Watchers is a diverse group with a tremendous amount of expertise in areas ranging from wetlands and wildlife to light pollution and native vegetation. They meet regularly with City administrators to discuss municipal policies and raise concerns. Their approach is non-confrontational, choosing to share their knowledge to help the City respond to emerging issues. But they’re not afraid to ask difficult questions or to push the City to go further. They have had some success. 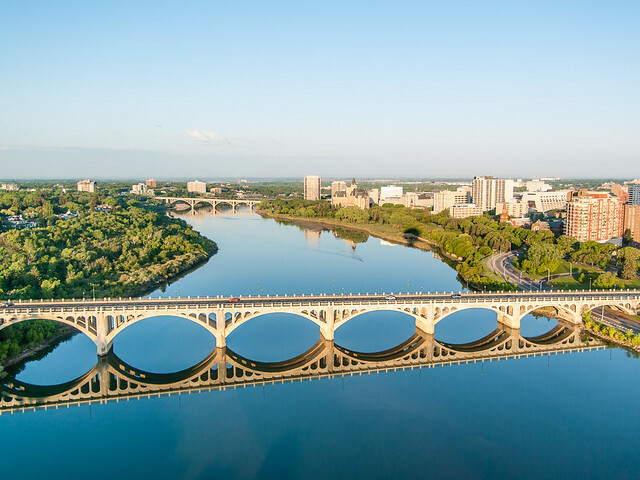 The City of Saskatoon and the Meewasin Valley Authority recognized their expertise and invited them to assist in developing a resource management plan for the Swale. City planners take time to listen and share information with the Swale Watchers. There were five different municipal officials at a recent meeting of the Swale Watchers. The group keeps a close eye on development activities in and around the Swale and are quick to report any possible transgressions. They are also planning public education activities to inform residents in neighbourhoods adjoining the Swale of the rich resources on their doorstep to be respected and enjoyed. Municipal boundaries are artificial divisions on an integrated natural landscape. The Swale Watchers are currently expanding their focus to the regional level in order to ensure that biodiversity is protected and promoted in the regional planning process that is now underway. For one week each spring, over 80 local groups work together to offer a varied program of activities that celebrate nature in Saskatoon. There is poetry and parades, bird walks and tree plantings. With activities for all ages, covering all parts of the city, the NatureCity Festival encourages people to head outdoors and enjoy our natural surroundings. The NatureCity Festival, sponsored by Wild About Saskatoon, is unique in its ability to bring groups together in a common cause. The focus of many of their activities is on enjoying our natural surroundings, acknowledging that people won’t protect something they don’t know and love. But they also work hard to introduce new information and ideas to community discussions around urban biodiversity. They’ve sponsored workshops on urban planning, providing an opportunity for municipal administrators and nature advocates to learn from experiences in other cities. The 2015 NatureCity Festival is emphasizing the health benefits of being outside and is fostering partnerships with schools and medical institutions. Plant a garden and you quickly learn to respect nature. There’s no controlling the weather, and worms become valuable partners in preparing a rich soil in which to grow your plants. School and community gardens play an important role in understanding that carrots are pulled from the ground, not just purchased in neat plastic bags in the grocery store. Our food supply is currently reliant on technology and transportation. Some groups are seeking to increase local food security through initiatives such as the Saskatoon Seed Saving Library, which will ensure a local supply of seeds as well as encouraging people to grow healthy food. 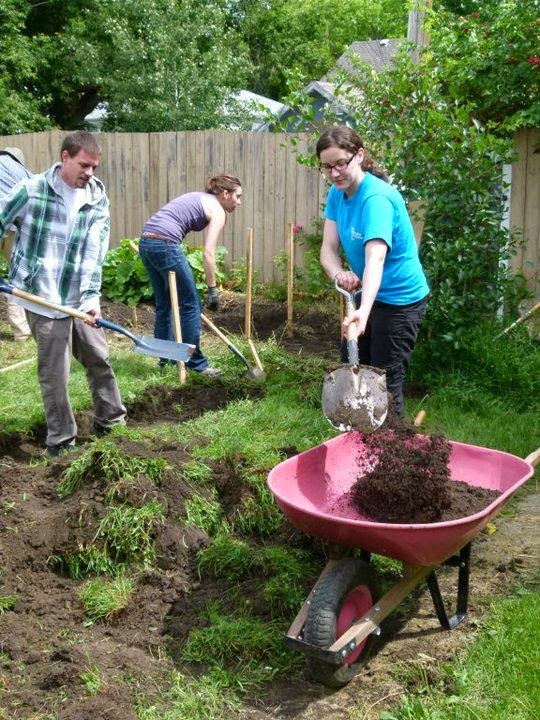 Permaculture experts, such as the members of Permaculture Saskatchewan, love to get their hands in the dirt to create a garden, but their focus is more holistic. As Joanne Blythe explains, ““You look at the whole situation, observe all the opportunities, and choose the ones which will work best together. You’re not just growing carrots or raising chickens. You’re developing an ecosystem. Heat from the chicken coop can warm the greenhouse, and the manure will fertilize the garden.” Their focus is on problem-solving and finding creative solutions that will benefit the planet and all its creatures. Festivals and gardening are fun. But they’re not enough. We need activists who are prepared to question authority and present opposing views. Saskatchewan Community Wind began with a vision of establishing a community-owned wind farm near Saskatoon. Meeting with resistance, they evolved into a provincial advocacy organization to promote an increased focus on wind energy and community-owned wind projects. Saskatchewan lags far behind other provinces and countries in adopting renewable energy projects. The American wind industry is showing unprecedented growth, with neighbouring states such as North Dakota leading the pack. In contrast, Saskatchewan has chosen to focus on carbon capture and sequestration, maintaining its reliance on coal, the most carbon-intensive fossil fuel posing significant health hazards (via The Economist). SaskWind has been particularly vocal in expressing its opposition to the Boundary Dam Carbon Capture & Sequestration (CCS) project. They haven’t just expressed an opinion. They’ve prepared a detailed financial analysis of the project, making the economic case for abandoning coal and emphasizing renewables. They’re meeting SaskPower and the government on their own terms by talking dollars and cents, particularly important at this time when SaskPower is considering two additional CCS units at Boundary Dam. Municipal, provincial, and federal elections loom on the horizon. Many of us are disheartened and disillusioned about the current political climate and it’s easy to question the value of a single vote. However, elections can be an opportunity to expand the conversation beyond snow clearing and business development and to advocate for urban biodiversity and wetlands, renewable energy, and dark sky policies. 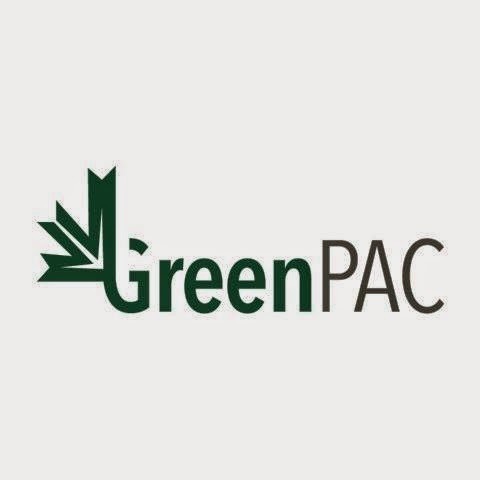 On a national level, GreenPAC is establishing a “panel of independent, non-partisan experts who will analyze candidates from all major political parties and endorse environmental champions.” It will be interesting to see if similar advocacy efforts are undertaken at the municipal and provincial levels.